Will Nirav Modi, Mallya share same jail cell in Mumbai if extradited? 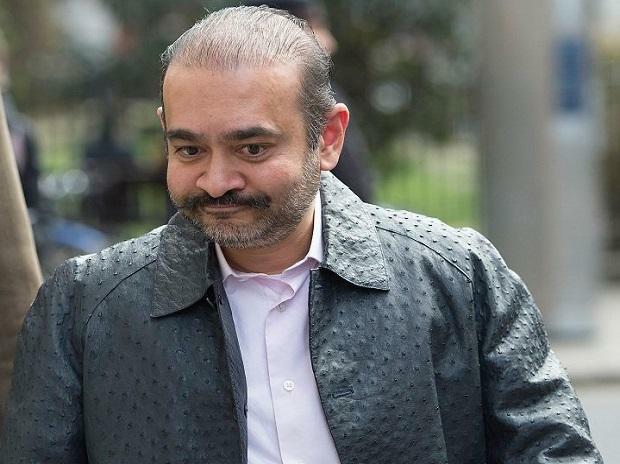 Fugitive diamond merchant Nirav Modi on Friday failed in his second attempt to get bail in his extradition case at Westminster Magistrates' Court here despite his defence team vehemently trying to establish his close ties to the UK, including having to care for a pet dog. Chief Magistrate Emma Arbuthnot declined the bail application of the 48-year-old prime accused in the $1-2 billion Punjab National Bank (PNB) fraud case on the grounds that he did pose a "substantial" flight risk and that he lacked "community ties" with the UK. Clare Montgomery, Modi's barrister, made a series of offers to try and convince the judge to grant bail. "He did have a son at Charterhouse [school in London] who has now gone to university in the States and as a sign of ageing parents, led Modi to get a dog instead. None of these actions are emblematic of someone setting out to flee the country," Montgomery claimed. "It is nonsense to say that he is a flight risk. He does not have a safe haven open to him and he has not travelled or applied for citizenship elsewhere he only qualifies for leave to remain in this country, she added. But the Crown Prosecution Service (CPS), arguing on behalf of the Indian authorities, stressed that Modi posed a significant flight risk and was also likely to further intimidate witnesses and destroy evidence if he were released. Judge Arbuthnot accepted the Indian government's arguments, noting the very unusual evidence she had seen at this early stage in the case of interference with witnesses and destruction evidence in the form of mobile phones and a server. Montgomery, who along with Anand Doobay of Boutique Law makes up a very similar defence team as that of former Kingfisher Airlines boss Vijay Mallya in his extradition case against India, told the court that her client was willing to put up 1 million pound as security doubling of the 500,000 pounds figure offered at the first bail hearing last week. She also offered to submit to several "stringent conditions", including Modi wearing an electronic tag to be monitored regularly. The tag was claimed to be even better than reporting to any police station but Modi was also willing to submit to even that requirement. As in the case of Mallya, who was granted bail immediately after his arrest on an extradition warrant in 2017, Montgomery said that Modi would guarantee to keep a mobile phone on him which was charged up and switched on at all times, submit to complete travel restrictions and also surrender all his residence permits, including for Hong Kong, Singapore and the UAE. The defence team also attempted to counter additional CPS evidence, submitted on Friday morning by the joint Central Bureau of Investigation (CBI) and Enforcement Directorate (ED) team, that claimed Modi had made death threats to witnesses in the PNB fraud case, many of whom had been forced to leave India to hide away in Cairo, Egypt. All of the witnesses who make varying claims have been in India since then and cooperating with the authorities, said Montgomery. The CPS was able to challenge Modi's defence claims that he had not travelled out of the UK since January 2018, when he allegedly arrived in Britain to establish the global headquarters of his diamond business. CPS barrister Toby Cadman told the court that in fact he had flown out to New York as recently as last month. "That aside, he has known about these matters for some time but has not cooperated with authorities in any way. Now that the [extradition] process has started, there is an even greater risk of his fleeing [the UK]," Cadman submitted. The judge agreed that she did not feel that the conditions met with Modi's statutory right to bail in such a case and directed Modi to be remanded in custody to appear for a remand hearing on April 26, required within a four-week period of an accused being remanded in custody. Modi will remain at HMP Wandsworth in south-west London during that period, where he can hold sessions with his legal team to deliberate on the course of the extradition case. His lawyers have urged the judge to allow them more that the few hours a week allowed by the jail, one of the UK's most overcrowded prisons.